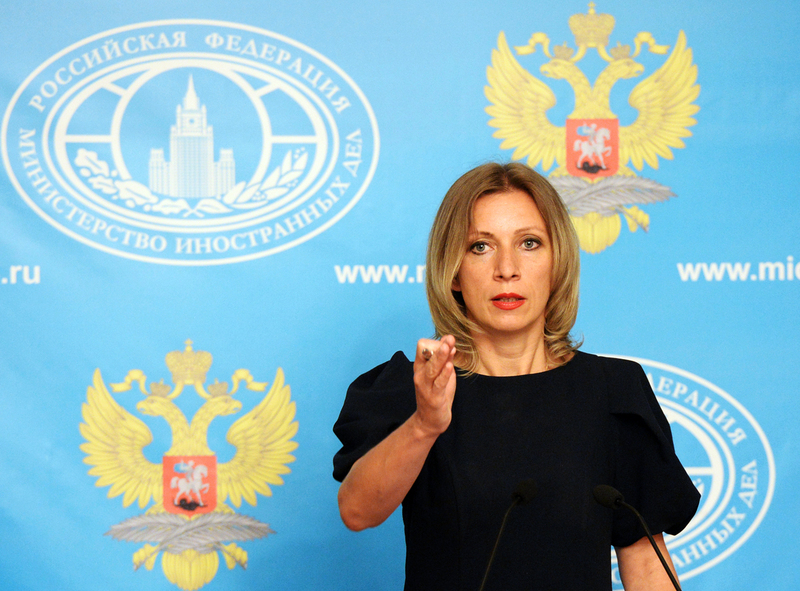 Russian Foreign Ministry Spokesperson Maria Zakharova during a press briefing. Moscow is closely following the Turkish army’s operation in northern Syria and it urges coordination of the military operation with the Syrian authorities, Russian Foreign Ministry spokeswoman Maria Zakharova told a news briefing on Aug. 31. "We closely monitor the Turkish Armed Forces’ military operation in Syria. Certainly, we share the Turkish Republic’s wish to struggle against the Islamic State (outlawed in Russia) which is an embodiment of the international evil, but at the same time we would like to draw attention to the need for following international law and to coordinate all military operations in the territory of a sovereign state with the legitimate government of that country." Zakharova called for avoiding strikes against the positions of Syrian Kurds. "We are calling upon the Turkish partners to selectively identify the targets in conducting the anti-terrorist operation and to refrain from strikes against the locations of oppositional and ethnic groups, including Syrian Kurds, that are fighting against the Islamic State," Zakharova said. She pointed out that currently "the most important task is to present a common front with all parties concerned and to fight against the terrorist threat."